Vote for the best of 007! TARGET: 007 Which is the best James Bond film? TARGET: 007 Who is your favourite James Bond? TARGET: 007 Who is your favourite Bond woman? TARGET: 007 Who is your favourite Bond villain? 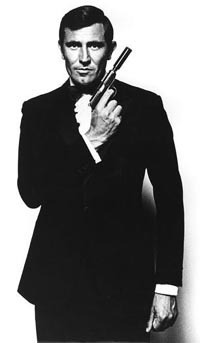 TARGET: 007 Who is your favourite Bond villain's henchman? TARGET: 007 Which is your favourite James Bond theme song?